Scrooge seizes a ruler from his desk and makes towards the door with all speed. The terrified singer flees for his life into the fog. So it seems that this is the carol referred to in Dickens’s title, though the usual line is God rest you merry, gentlemen, not ‘bless’. This is a good one for a sub-editor to write about because the first thing to establish is where the comma goes in the first line. It is not where Dickens places it. In the 16th and 17th centuries, the period from which the carol is thought to date, the word ‘rest’ was a verb meaning ‘keep’ or ‘allow to continue’, and ‘merry’ had a wider sense of ‘contented’, ‘bountiful’ or ‘prosperous’. Thus the first two lines could be paraphrased as: ‘May God allow you to remain contented, gentlemen/Let nothing dismay you’. For this reason the often-used variation of ‘ye’ for ‘you’, presumably to make it sound authentically archaic, is incorrect. ‘Ye’ is for addressing someone directly, as in ‘Oh ye of little faith’. In the context here, the gentlemen are the object of the appeal to God and ‘you’ is grammatically correct. 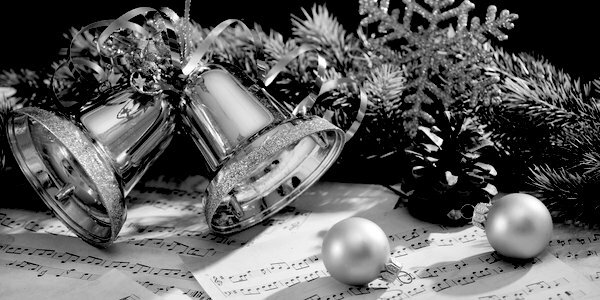 The first known printed version was on a single sheet entitled Three New Christmas Carols in about 1760. In 1833 it appeared in a collection called Christmas Carols Ancient and Modern, in which The First Nowell and I Saw Three Ships appeared for the first time. This was ten years before Dickens’s story was published. The arrangement generally used for this carol today first appeared in the 1871 collection Christmas Carols New and Old by Sir John Stainer, who also wrote the oratorio The Crucifixion, and the Reverend Harry Ramsden Bramley. Here the choir of King’s College Cambridge and the congregation perform an arrangement by David Willcocks. There are many versions by singers including Bing Crosby, Perry Como, Nat King Cole, Ella Fitzgerald and Neil Diamond. However I could not resist including this one from the 2008 album We Wish You a Metal Christmas and a Headbanging New Year because of the brilliant title. In fact the track has a muscularity which many feel is missing from the church today. Previous articleTime for a People’s Vote – should Gary Lineker be recycled? Margaret Ashworth is a retired national newspaper journalist.